Our Search Engine Optimization can’t be beat. Other SEO firms will say they go “the” extra step. You may even find one that says they go “the ten” extra steps. The truth is, until the complexity of your website and the diversity of its content are determined, there is no definitive amount of extra steps. Our claim, our promise: We will identify all the steps necessary to maximize your website’s SEO and we will take them. The bulk of our SEO services are contained in Phase 2 of our web builder services, but the magic occurs when that work is in collaboration with phases 1 and 3. Phase 1 focuses on the best research to ensure the best SEO content coding. Phase 2 involves the execution, and Phase 3 involves assessment and any necessary adjustments. 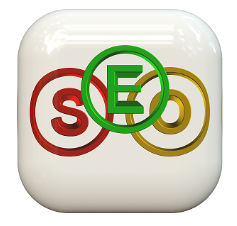 The heart of our SEO success is the part of our Phase 2: Optimize initiative. We focus on coding ALL content on your website, not just the global settings that identify your website in general terms. How thorough are we? We are obsessive about it. We don’t stop until we’re confident it has been done right and is stitched into every fiber of your website. Can we give you an analogy of how thorough we are? Yes, we can. Expand the example to see how one of our coders shared a story in which he was not happy when one of his light switches in his kitchen was reversed. Yep – we’re that thorough. We start a project with one goal in mind – which is an intention, not an action. Like wiring light switches, we intend to get your SEO consistently right. If we notice better front-end language you should be using, or better descriptions and captions for your photos, we won’t plow forward with coding your SEO with the language you have. We will re-write your language in a way that remains consistent with your branding, but it will also rank higher on the Google Search Indexes. Then we will complete the wiring and turn the power back on, ensuring your prospective clients searching the web are flipping the right switch – clicking on your website and not your competitor’s. ... and even more super secret SEO tactics up our sleeves. Want to talk to our resident SEO expert? Send him a message or give him a call. He's always happy to help others succeed.